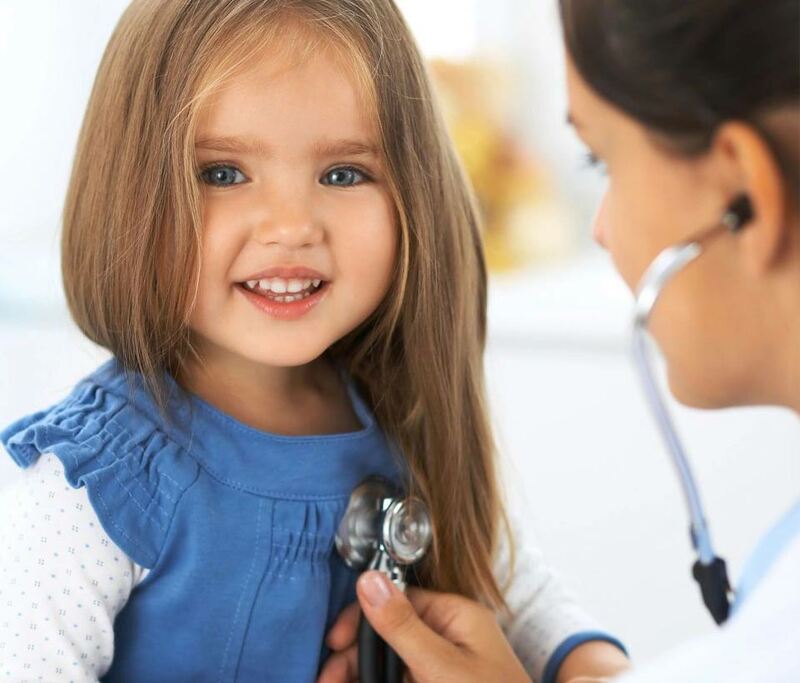 White Plains Urgent Care provides immediate medical care for Adults, Women's Health and Children's Healthcare needs. The Urgent Care is open 7 days a week. We participate in most insurance plans. Our urgent care offers prompt, affordable and quality medical care for patients in and round Westchester. The Urgent Care walk in clinic in Westchester is ideal for urgent non-life threatening medical conditions since the treatment can be done without the added expense and wait associated with the emergency room visit. We provide many services including prescription and medication refills for travelers and patients unable to reach their primary care physicians. The urgent care is staffed by board certified doctor. Patients in Westchester are sophisticated and know they have many health care choices. We strive to provide high quality care every day. No, you can walk-in during our normal business hours and be seen by Doctors and Nurses without a long wait. Q. What Is A Walk-in Medical Care? Walk-In Medical Care is an urgent care clinic that allows you to see a doctor 7 days a week, without making an appointment. Walk-In Medical Care provides you with the care you need for almost all non-life threatening health issues; such as, minor injuries, fractures, sore throats, lacerations, ear infections, allergic reactions, cough, pain etc. With our convenient daytime and evening hours our highly trained physicians and staff can provide you with high quality care that you need. Q. What Kinds Of Services Do A Walk-in Medical Care Clinic Provide? Our compassionate and dedicated Doctors and Nurses can treat almost all minor injuries and illnesses; such as, upper respiratory infections, sore/strep throat, eye/ear infections, lacerations, allergic reactions, urinary tract infections, and many more. Along with these we also provide a wide variety of diagnostic and preventative services; which includes lab work, vaccinations, and physicals. Q. What Forms Of Payment/insurance Does Walk-in Medical Care Accept? Walk-In Medical Care accepts most major insurance health plans. For those who do not have insurance Walk-In Medical Care offers a self pay option in which you may pay via cash, Visa, or MasterCard and other credit cards for the services rendered. Q. Will It Cost Me More To Go To A Walk-in Medical Care Clinic Than Just Going To The Emergency Room? For all non-life threatening conditions, Walk-In Medical Care should be used. Walk-In Medical Care is definitely a more convenient as well as costs less than the emergency room. With much lower co-pays and immediate care available, there is no question Walk-In Medical Care is the smart choice. Please bring a photo ID and your insurance card with you when you visit Walk-in Medical Care. Please be sure to let our staff know of ANY allergies, current medications and your medical history. All persons under the age of 18 should be accompanied by a legal guardian in order to be seen. Q. Do Your Physicians Refer Patients To Specialists? Yes. We handle urgent problems such as sprains, fractures, lacerations, vomiting, diarrhea, dehydration, etc. immediately and refer patients to the appropriate specialist as needed. Q. Do Your Doctors Have Regular Patients? We are a walk-in care facility; however, some patients use us as their primary care provider. Q. Does Walk-in Medical Care Accept Medicare? 1Q. Do I Have To Make An Appointment? A. No, you can walk-in during our normal business hours and be seen by Doctors and Nurses without a long wait. 2Q. Do You Take My Insurance? A. We participate with most insurance carriers. 3Q. How Much Will The Visit Cost If I Have No Insurance? 4Q. What Is A Walk-in Medical Care? A. Walk-In Medical Care is an urgent care clinic that allows you to see a doctor 7 days a week, without making an appointment. Walk-In Medical Care provides you with the care you need for almost all non-life threatening health issues; such as, minor injuries, fractures, sore throats, lacerations, ear infections, allergic reactions, cough, pain etc. With our convenient daytime and evening hours our highly trained physicians and staff can provide you with high quality care that you need. 5Q. What Kinds Of Services Do A Walk-in Medical Care Clinic Provide? A. Our compassionate and dedicated Doctors and Nurses can treat almost all minor injuries and illnesses; such as, upper respiratory infections, sore/strep throat, eye/ear infections, lacerations, allergic reactions, urinary tract infections, and many more. Along with these we also provide a wide variety of diagnostic and preventative services; which includes lab work, vaccinations, and physicals. 6Q. What Forms Of Payment/insurance Does Walk-in Medical Care Accept? A. Walk-In Medical Care accepts most major insurance health plans. For those who do not have insurance Walk-In Medical Care offers a self pay option in which you may pay via cash, Visa, or MasterCard and other credit cards for the services rendered. 7Q. Will It Cost Me More To Go To A Walk-in Medical Care Clinic Than Just Going To The Emergency Room? A. For all non-life threatening conditions, Walk-In Medical Care should be used. Walk-In Medical Care is definitely a more convenient as well as costs less than the emergency room. With much lower co-pays and immediate care available, there is no question Walk-In Medical Care is the smart choice. 8Q. What Do I Need To Bring With Me? A. Please bring a photo ID and your insurance card with you when you visit Walk-in Medical Care. Please be sure to let our staff know of ANY allergies, current medications and your medical history. All persons under the age of 18 should be accompanied by a legal guardian in order to be seen. 9Q. Do Your Physicians Refer Patients To Specialists? A. Yes. We handle urgent problems such as sprains, fractures, lacerations, vomiting, diarrhea, dehydration, etc. immediately and refer patients to the appropriate specialist as needed. 10Q. Do Your Doctors Have Regular Patients? A. We are a walk-in care facility; however, some patients use us as their primary care provider. 11Q. Does Walk-in Medical Care Accept Medicare? White Plains Walk In Medical Care, located just block away from White Plains hospital provides same day appointments for illnesses that are not serious enough to require treatment in the emergency room. White Plains Urgent Care offers prompt, affordable, same-day appointments at our convenient White Plains medical care office. Same day appointments prevent long waiting times associated with Emergency Room visits for illnesses that require prompt medical attention, that are not life threatening. We provide many services including prescription and medication refills for travelers and patients unable to reach their primary care physicians. You may walk in our office at 10 Chester Avenue, White Plains, NY 10601 at your convenience and receive medical care with minimal waiting time. You can also schedule an appointment before coming to the office. I'm glad that I found Dr. Shikha Goyal for my medical condition. There is zero waiting time and the facility is very clean. I would highly recommend Dr. Goyal. There is a covered parking garage just opposite to her clinic which charges 75 cents for 1 hour which is very convenient to park the car and walk to her office. Often times I am not pleased with visits to health care facilities due to the extremely long waiting time. However, when I visited here, I hardly had to wait. The reason probably being that the facility was new, and not many people know about the place yet. Of course, since the facility is new, it is very clean. I merely went for a yearly checkup, but that procedure went very smoothly, and the overall experience was pleasant. Professional and Thorough. Treated for eye infection. The office is modern and clean, Dr. Goyal is responsive and knowledgeable. This place really helped me. I came to the Urgent Care for poison ivy rash which was spreading. I was not able to get an appointment with Dermatologist. Dr. Goyal gave me medication and itching got better. This is great place for me since I live in White Plains. My 5 year old son fell on the sidewalk and started bleeding on the knees. Luckily White Plains Urgent Care was just 3 blocks away. We walked in, got to see the doctor in less than 10 minutes. Doctor Goyal was professional and friendly. My son felt very comfortable with her and the whole procedure went smoothly. I would highly recommend White Plains Urgent Care. Nice clean office. Office staff is friendly. Saw the doctor right after checking in. I came to see a doctor for sore throat on the weekend. I got the throat test and got prescription for antibiotics. Overall I am pleased with the care. Doctor Goyal is 1 of the best doctors in Westchester County I truly trust her with my life. Thank you Urgent Care for holding a preservative free dose from my daughter with ASD. So appreciated. I felt the staff had been understanding and been willing to answer any of my questions. I was very happy with the service and attention Dr. Goyal gave to me. Thank you for helping me when I wasn't home. I was overall satisfied, but because of the conditions I came in for I had to get referred to a different doctor. I appreciated her referral because I have not been in the area long. I was extremely impressed with the doctor's assistant who saw me first. She was extremely capable and pleasant and informative. Dr. Goyal is a lovely and calm and gentle doctor who is thorough and knowledgeable and informative. You do not feel rushed. I will use her again! I don't dish out compliments regularly, but this is a great office! Super-nice receptionist, short wait, wonderful doctor. I had the mega flu and high sugar (I'm diabetic) a few months ago and they were just great! © 2018, White Plains Urgent Care. All Rights Reserved.